Module 1: What is it? A beloved child has many names, the saying goes/one says. In this module you will learn about the different names, the nuances in the meaning of the different but similar words and a bit of history. citizen science, citizens’ observatories, crowdsourcing, participating science etc. You will be introduced to both popular and scholarly discussions and get direction to more material if you so wish.. You will get a quick overview if that is all you need, or you can choose to go more in depth if you are taken by curiosity…before you start to play. before, during or after you have played. Module 2: Getting into it. (getting involved). If you want to be a part of this phenomena, or you are simply curious to know more about it and how it works, you’ll find that there are a number of different ways to participate ranging from passive to very active. 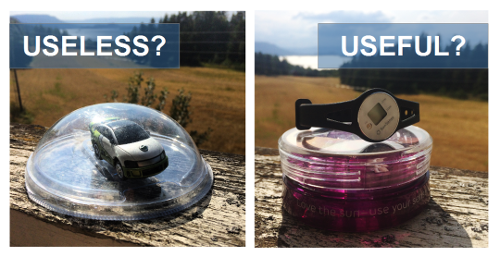 You decide if you want to support the concept(s) of citizen science and citizens’ observatories in one way or another. In this module you will learn about the different forms of activities and contributions you can give, all from paying your way out of it, to actively engage in science projects. Then there are the gadgets or toys. What can you play with? There are so many toys out there already. Most likely you already have several in your posession; your smartphone and computer. Then there are dedicated apps and you can find a myriad of sensors of different sizes and prices. In this module you’’ get a systematic introduction to the various toys/tools that you can play with. You can be a citizen observer all alone, or join others in various ways.It is entirely up to you! In this module you will be directed to your preferred network , those who offer high degree of socializing and those for the ‘lone riders’ among us. Module 5: Use it! For what? Who and how is the data being used. We can choose to use the data we collect with our toys just ourselves. Keep it inhouse, but it is even cooler if the data you collect can be used for some purpose, right? In this module you will learn where your data goes, how it is being used for what purposes.